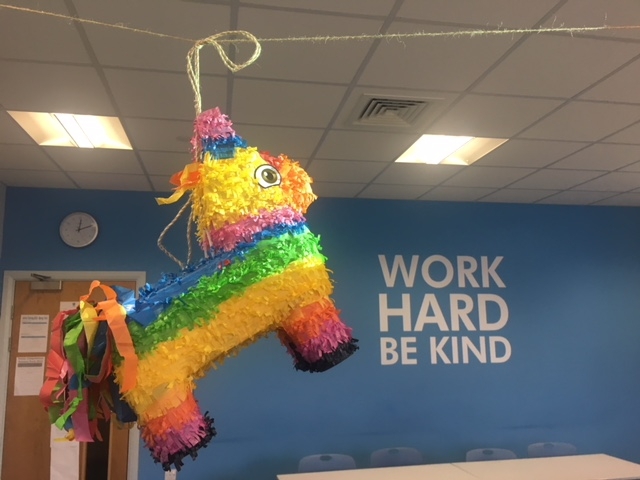 Some year 7 Spanish students enjoyed vocabulary learning yesterday and celebrated their knowledge with a Piñata. The students loved the activity and were very motivated to participate. The students have also been learning about Spanish and Latin American culture and where the Piñata originated from.